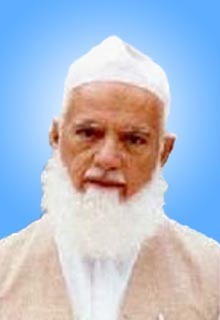 Pir Muhammad Karam Shah was a famous saint of Chishtia order, a learned theologian, a commentator of the Holy Qur’an, a biographer of the Holy Prophet (Peace be upon him), a jurist, an educationist and justice of the Supreme Court of Pakistan. His family was honoured in the Punjab province due to knowledge and piety. 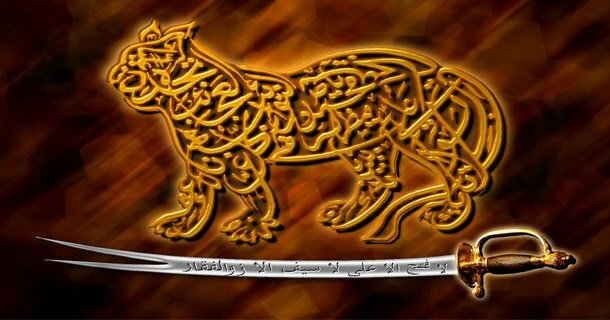 His grandfather Pir Amir Shah known as Amir-us-Salikeen was famous chishti saint. His father Pir Hafiz Muhammad Shah Ghazi was also a sufi who took an active part in Pakistan Movement and in jehad for liberation of Kashmir. He was prisoned to jail by Khizar Government of the Punjab due to his active role in civil disobedience movement against him. The forefathers of Pir Sahib include famous Suhrawardy saints like Hazrat Shaykh-ul-islam Sadr-ud-Din Arif and Hazrat Ghaus Bahauddin Zakariyya of Multan. Muhammad Karam Shah was born on Ist July 1918 A.D./Ramadan 21, 1336 A.H. in famous town Bhera (Distt. Sargodha) which was attacked by Mughal emperor Zahir-ud-Din Babur and was mentioned by him in his memoir. A beautiful mosque was built by Sher Shah Suri in this town. After study of the Holy Qur’an, he was admitted in Mohammadia Ghausia Primary School in 1925 established by his father. Later on, he got admission in Government High School Bhera and did his matriculation in 1936. He learnt Persian and Arabic grammar from Maulana Muhammad Oasim Balakoti and Maulana Abdul Hameed. He also studied lslamic learning from Maulana Muhammad Din Budhwi and Maulana Ghulam Mahmood of Piplan (Mianwali). In 1941, he got admission in Oriental College Lahore and passed examination of Fazal-e-Arabi. Here he had the honour to be the student of famous teachers of Arabic language like Shaykh Muhammad Arabi, Rasul Khan and Maulana Nur-ul-Haq. He passed B.A. examination from.the Punjab University in 1945 and then proceeded to Egypt for higher education in 1951 where he got admission in al Azhar University. He got M.A. Honours in Islamic Law securing 2nd position in the University. He started M.Phil in the same University. He undertook research for the thesis entitled “al-Hadud fi’l-Islam” under the supervision of Dr. Ayub Ali who belonged to East Pakistan for the degree of M.Phil but he could not submit this thesis due to the illness of his father and returned to his homeland in 1954. He had very friendly relation with his teachers like Muhammad Mustafa Shalbi, Muhammad Abu Zuhrah and Ahmad Zaki who granted him appraisal certificates on his departure. Pir Sahib was disciple (murid) of Khawaja Oamar-ud-Din Siyalwi under whose guidance he completed spiritual training. He was granted Khilafat in Chishtia order by Khawaja Siyalwi and his father. He became Sajadahnashin of Darbar Pir Amir Shah after the demise of his father in 1957. Thousands of people took oath (bayt) at his hand and repented of sinful life. He bestowed Khilafat to seven personalities including his eldest son Sababzada Amin-ul-Hasanat Shah and an Arab of Madinah Tayyabah. This great Sufi was not a traditional Pir and Sajadahnashin but a great scholar of Islam. He is the author of many books. He wrote on Qur’an, Hadith, and Sirah. He completed his first book “Sunnat Khayr-al-Anam” while he was the student of al-Azhar University. 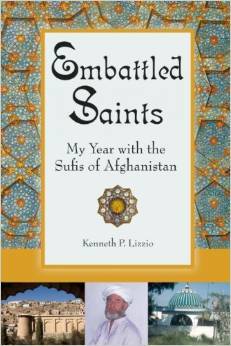 In this book, he refuted Ghulam Ahmad Pervaiz’s views regarding Prophetic traditions. Being a pupil of Sadr-ul-Afazal, he pondered over the Our’anic verses and completed his famous exegesis of the Holy Qur’an entitled “Zia-ul-Qur’an” in Urdu language in five volumes in 19 years. His Urdu translation “Jamal-ul-Qur’an” has also been separately published. He wrote detailed biography of the Holy Prophet (Peace be upon him) entitled “Zia-un-Nabi” in seven volumes. -His lectures and articles have been published under the title “Maqalat Zia-ul-Ummat’ in two volumes and speeches delivered by him to the prisoners of Sargodha jail have been published by Gul Muharnmad Faizi in “Abr-e-Karam” He also translated Waza’if of Silsilah Chishtia and Dala’il al-Khayrat into Urdu language. He started a monthly journal “Zia-e-Haram” in 1970 and remained Editor-in-Chief of this journal for about 28 years. The editorial was written by himself under the title “Sirr-e-Dilbaran” that was specially admired by its readers. Pir Sahib was also an educationist and a very kind teacher. He re-organized “Dar-ul-ulum Muhammadia Ghausia” established by his father in Bhera. He brought revolutionary changes in the syllabi of religious education. He thought it necessary to give modern education alongwith religious education. A beautiful building of main campus was erected near the Khanqah Amir-us-Salikeen. Afterward al-Qamar Campus was built which is beautifully designed. The degree granted by this institution is equivallent to M.A. (Arabic & Islamic studies). This institution possesses a unique position among the religious institutions of the country. A number of alumni of Darul ‘Ulum Muhammadia Ghausia are serving the nation as lecturers/Professors (Arabic and Islamic Studies) in government as well as private institutions. A number of religious scholars are working as Khatib in Auqaf and Pak Forces after completing their education from such a prestigious institution. The services rendered by this institution have been acknowledged by Islamic scholars. A thesis has been presented in Islamic Studies Department, University of the Punjab Lahore, for the Degree of MA. (Islamic Studies) regarding Darul ‘Ulum Muhammadia Ghausia and another thesis about Pir Sahib for M.A. (Arabic) degree. He belonged to such Ulama and Saints who worked for the independence of Pakistan. His teacher of Hadith Mauiana Naeem-ud-Din Muradabadi and his Murshid Khawaja Qamar-ud-Din were supporters of Pakistan movement. He himself canvassed for the Pakistan Muslim League in the election of 1946. He had great respect for Quaid-e-Azarn Muhammad Ali Jinnah and Allama Dr. Muhammad lqbal. He had preserved a number of Urdu and Persian verses of Dr. lqbal in his memory along with many Arabic and Persian Verses of famous poets which he had quoted in his writings. Pir Sahib also took an active part in the politics of the country. He joined jamiat Ulama-e-Pakistan and remained senior vice-president of this party. He criticized openly what was un-islamic in his opinion. He vehemently refuted all man- made systems of Government. He criticized late premier Zulfiqar Ali Bhutto due to his socialistic ideas. He took an active role in Tehrik Khatm-e-Nabuwwat in 1974 and stressed the Government in the editorials of Zia-e-Haram that Qadianis should be declared as non-Muslims. 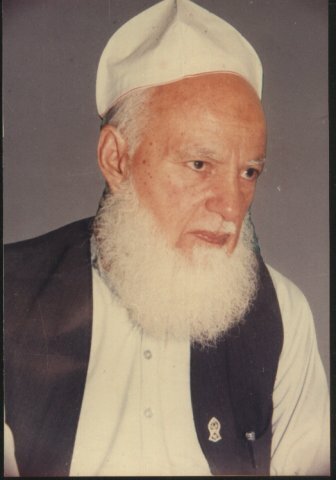 Pir Sahib participated in Tehreek Nizam-e-Mustafa in 1977. He was imprisoned by Bhutto Government and was released on imposition of martial law by General Muhammad Zia-ul-Haq. He asked General Zia for the lslamization of all institutions of the country who had great respect of this saint and scholar. When General Zia-ul-Haq established Federal Shadat Court, Pir Muhammad Karam Shah sworn in as justice of this court being an expert of Islamic law in June 1981. He was elevated to Shariat Bench of the Supreme Court of Pakistan. He worked with famous judges of the apex court including Justice Zullah, Nasim Hasan Shah and M. Rafiq Tarar (Ex-President of Pakistan). He wrote some historic decisions during his career. He remained justice of the Supreme Court of Pakistan till his demise. He was a member of the advisory board of Darul Mal Al-Islami which was working for Islamic banking. Once there was controversy on an issue among the members. All members presented their papers but the issue could not be resolved. There was consensus among the members to accept the opinion of Pir Sahib. He also rendered services as member of Royat-i-Hilal committee and also remained Chairman of this committee. He fell ill seriously in January 1998 and remained under treatment in lslamabad Complex from Jan 11 to April 7, 1998. As he had completed his mission, therefore he was satisfied with his achievements. He left this world on Dhu’l Hajjah 9, 1418 April 7, 1998. His funeral prayer was led by Khawaja Harneed-ud-Din Siyalwi and his body was buried in the tomb of Amir-us-Salikeen at Bhera. Allah Grant the Shaykh a place in Jannah-tul-Firdaus . (Ameen).